Cross International works to meet the basic needs of orphaned, abandoned and vulnerable children throughout the developing world. Our goal is to cultivate young hearts and minds for the Lord ― to bring spiritual peace to the poor and unleash the potential of boys and girls to achieve a more prosperous future. And the sooner vulnerable children are reached the better, because a rapid response helps these boys and girls escape the self-destructive behaviors created by their early childhood traumas. In 2018, we provided grants for 11 projects to support orphans and vulnerable children around the world (these numbers exclude projects that serve orphans but are categorized as education, etc.). A portion of that funding went toward Canaan Orphanage in Haiti, where children from destitute families were provided with a nurturing home environment and top-notch education. Funds also supported Empowering Young Women in Uganda, a project dedicated to equipping vulnerable girls with the skills and knowledge they need to succeed! 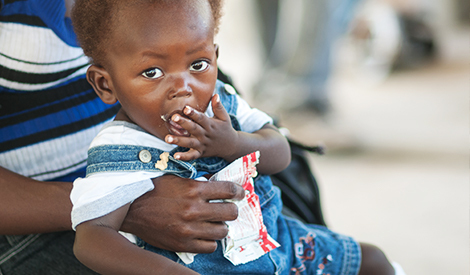 Cross International continued its long-term partnership with Canaan Orphanage by providing support for its holistic ministry to Haiti’s orphans and vulnerable children. Canaan is committed to raising each child with the love of Christ, equipping all of the children with a quality Christian education and knowledge and love of the Lord. Canaan is more than an orphanage, as its ministries include a Christian school, a medical clinic that is open to the community and an on-site church. 31 orphans and vulnerable children were provided safe shelter and a loving family environment. Cross International provided funds to Canaan’s on-site Christian school, providing 31 scholarships to children in preschool, primary school and secondary school. Daily meals were provided for 31 children. Cross provided support for the ministry’s medical clinic, including funding four staff members. Operating expenses were provided to the orphanage to maintain a girls’ dormitory, boys’ dormitory, nursery, cafeteria and chapel. Funds provided to this project in 2018: $70,270.